Saudi Arabia is undergoing an economic overhaul that includes raising debt through bond sales, revamping its energy industry and launching the world's largest sovereign wealth fund as it also seeks to sell stakes in government assets. All of which have gained the attention of some of the biggest banks, like Société Générale, who are looking at opportunities. "One of the major things is the launch of the renewable energy program which is a big thing for all the countries in the region and we will definitely be a part of that," Richad Soundardjee, head of Société Générale for the region said in an interview with Bloomberg TV. "Progress is there and transformation plans are started to being executed" across Gulf states. As the kingdom overhauls its energy industry to be less reliant on oil - and also have more of it to export at a profit - it is planning to build over 16 nuclear reactors over the next 25 years. As it diversifies, Saudi is also looking at developing its first wind power plant and a 300-megawatt solar plant. "One of the major things is the launch of the renewable energy program which is a big thing for all the countries in the region and we will definitely be a part of that"
"There is a lot to do in the energy sector, and we are a global energy house," Soundardjee said. "There is a lot to do when it comes to structured financing and there is a lot to do in terms of providing intellectual capital and advisory," he added. 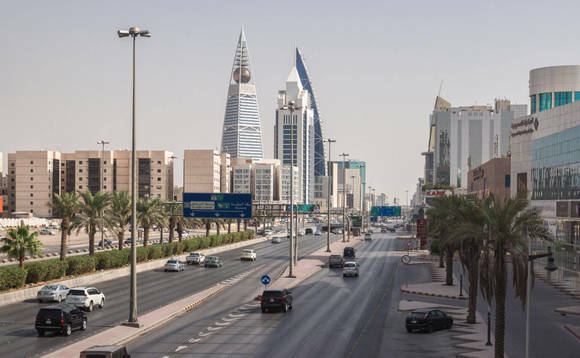 The French bank was among lenders that provided an $11bn loan to the kingdom's sovereign wealth fund last year in the Public Investment Fund's first-ever borrowing. Confronted about the geopolitical tension in the region, particularly after Saudi was in the spotlight after the killing of Khashoggi that caused a worldwide backlash, Soundardjee avoided talking politics. "Well, for the time being, economically, the situation is stable. If you look at the IMF figures for this year there is more growth than last year. We haven't seen much change in the area that we want to be active, not only Saudi but the whole of the GCC," he replied. The bank is also eyeing other Middle Eastern countries such as the United Arab Emirates, Kuwait and Egypt.